Nigeria’s main militant group, the Movement for the Emancipation of the Niger Delta (MEND), after what seems like quite sometime of relative quiet, is at it again. 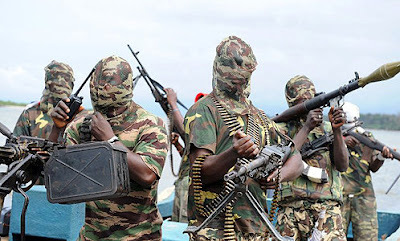 This time under the gun is Chevron’s tank farms at Escravos in the Delta state. The militant group issued a statement threatening the US major’s tank farm and urged workers to evacuate the facility. The statement, signed by MEND spokesman Jomo Gbomo, said that the group will launch mortar attacks on the facility. As with most of its attacks the group has given plenty of warning; this attack is scheduled for the morning of October 1. MEND said it will eliminate all Nigerian production by sabotaging the pipeline network; the group’s objective is zero output by 2015.